Just last week I went to a mall and noticed a stall selling various kinds of lucky charms and Feng Shui trinkets in different shapes and sizes and I decided to check it out. I bought a couple of them for our home which I am featuring in this blog. 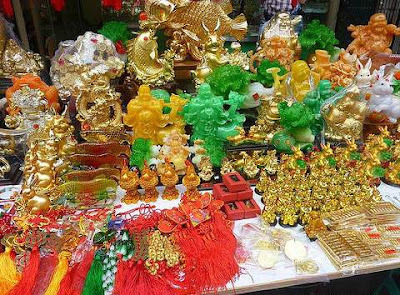 During this time of the year to welcome the Chinese New Year, you can actually find a lot of lucky charms and Feng Shui vendors especially in Binondo, Manila where a number of Chinese/Chinese-Filipino lives and are doing business in that area. 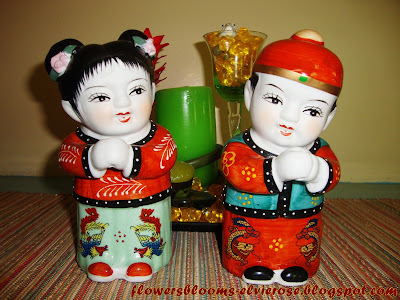 These Chinese Loving Couple Figurines are so cute ! Love is an emotion that nearly everyone has experienced at some time in their life. Activate your love and romance luck within your home with a little help from Chinese symbolism! Add spice to your love life! 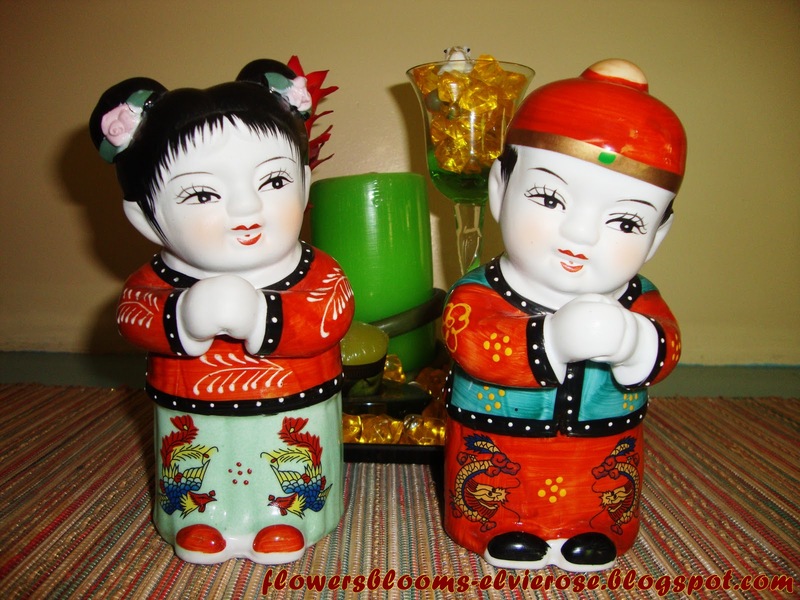 The Loving Couple Figurine depicts a traditional Chinese Wedded Couple portrayed as having a wonderful time enjoying each others company. They symbolize happiness, fulfillment, love and understanding. It represents a successful marriage. Symbolically jazz up your intimacy, attract a romantic partner and spice up your relationships! The Rabbit (the fourth Horoscope animal of the Chinese Zodiac) symbolizes graciousness, good manners, sound counsel, kindness and sensitivity to beauty. A Rabbit person possesses one of the most fortunate of the twelve animal signs. The Rabbit, or Hare as he is referred to in Chinese mythology, is the emblem of longevity and is said to derive his essence from the Moon. He is peace loving, has impeccable manners in the pursuit of a good life and intelligent in business with creative mind. 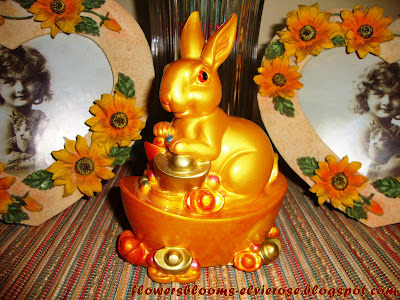 It is believed that placing the Rabbit figurines in your home or workplace will strengthen and enhance all the good traits and characteristics it represents in family members born in the year of Rabbit. If your horoscope reading says you will experience a tough year ahead, worry not. Your Rabbit figurine will give you the strength to see through it, help you to overcome obstacles, and make the most out of it to reap maximum benefits. Known in Chinese as "Yuan yang", the Mandarin Ducks has long been regarded as one of the most beautiful birds. In the world of Feng Shui, these animals are used for relationship healing purposes. A pair of Mandarin Ducks symbolize happiness in love and suggestive of romance, devotion, affection, conjugal fidelity, togetherness and enduring love. Mandarin ducks live in couples and mourn the loss of their mates, which is why the bird has long been regarded as the most traditional and the most potent symbol of love and married bliss in Feng Shui practice. 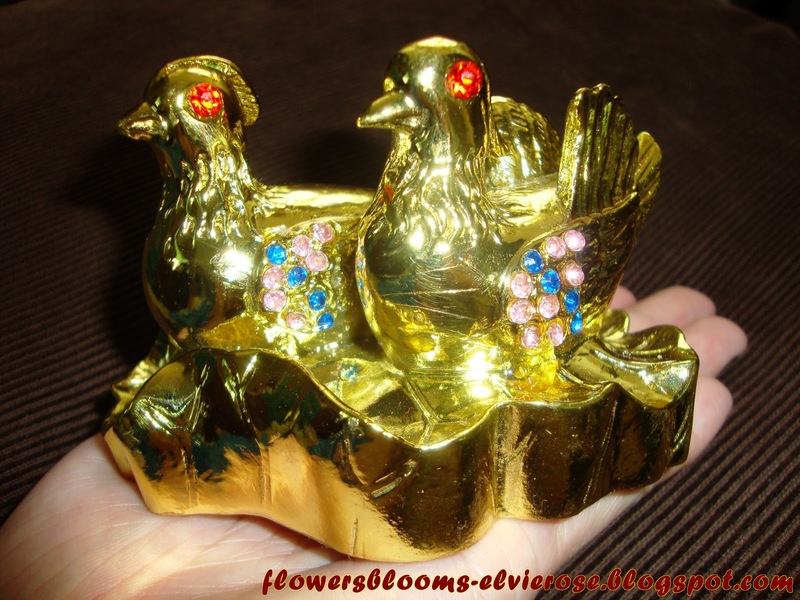 These beautiful ducks became popular feng shui symbol used to attract or enhance love and relationships and cure relationship problems. For people who are unlucky in their love life, you can use these ducks as Feng Shui cures. For singles, the pair of Mandarin Ducks will enhance your chances of finding love partners; for lovers, it will bring you marriage opportunities; and for married couples, a pair of Mandarin Ducks will strengthen the togetherness of the husband and wife and also help them achieve marital bliss. Great article! It is always nice to learn more about the art of Feng Shui. @ Terrans, Thanks for reading my blog and your nice comment !